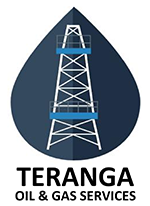 Teranga Oil & Gas Services specializing in Engineering and fabrication of Oilfield and mining equipment. Teranga Corporation in partnership with International market leaders in oil and gas services aim to fill the gaps identified in the local industry and ensure our clients get world class services while simultaneously developing the local competency of the region. Vision : Our vision is to be at the forefront supporting the growth of the nascent Oil & Gas industry in the MSGBC region.